Hollywood, a series about the American silent film, for Thames Television. sometimes took pity on me and drove to my place to work on the scripts. idea of what to put together. making of the Chaplin series. But you would hardly connect him with ballet, either, at first sight. prime virtues, although, with unimportant subjects, it could be a hindrance. Inc. was Mo Rothman, one of the toughest entrepreneurs in the business. untangling them, nor would they permit us to do so. 2. 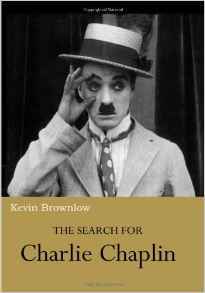 He has since written the definitive biography of Chaplin. ways with Rachel Ford and Oona Chaplin, and we owe him an enormous debt. precise moment we had been calling her. lunch?” “No,” she said. “There is a little pub we always go to for lunch. is about an hour’s drive from London. Come down as fast as you can. passageway where we met Miss Ford. RUSH, another CITY LIGHTS and another THE GREAT DICTATOR. – she was in search of material that lay outside it. if we could acknowledge that fact in the series. the gleaming cans. But suddenly my eyes fell on an unfamiliar title. we tried to remain cool, calm and poker-faced. “First, lunch,” she said. watching Charles Laughton at work. It was her only visit to a studio. negative of The Sea Gull had been destroyed in the ’30s. The Chaplins were in Switzerland for a house-hunting expedition. my dog’s lead. I kept saying ‘I couldn’t help you… I’d be no use at all. them. He honestly felt that no one would be interested in seeing them. consuming thousands of dollars. He had become Miss Ford’s bête noire. The curious thing about Rohauer was the antipathy he had aroused. Jr., and we needed first-class quality extracts from his father’s films. give you anything you want.” I gave up. very difficult for me, since he has sold the rights to the BBC, to ask him.